A few weeks ago, I was at a friend’s birthday party. Yes, alcohol involved. A lot of alcohol. Because of all the medication I’m currently taking, I’m a one-drink-max-girl these days (I know I’m so dull). 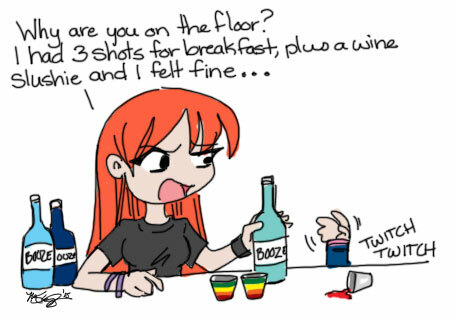 Red was playing bartender for everyone and for my one drink, she made me shot. Not just any kind of shot. 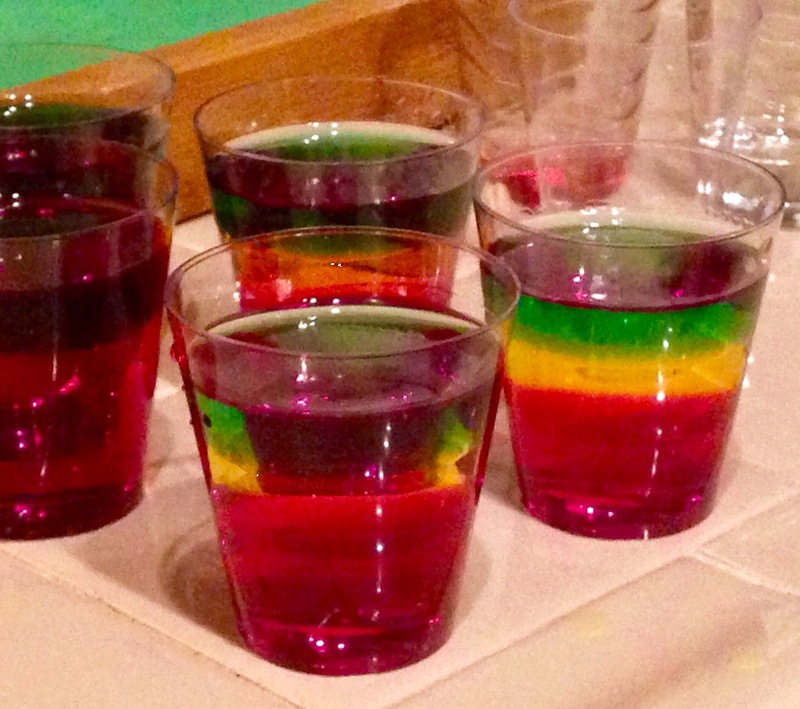 If done correctly, it comes out looking like the Jamaican flag. I’m not much of a hard liquor girl anymore. But it wasn’t terrible. It took a good 5 minutes for the shock to my system to wear off. It took about an hour before I could feel my face again. It took another hour for the walls to stop singing hymns at me. …..I’m pretty sure the hymns were medicine induced. This entry was posted in Life Happens, Random Crap, Uncategorized. Bookmark the permalink.